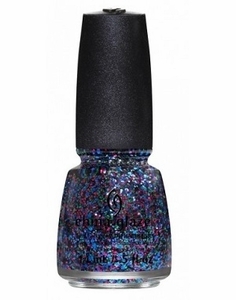 China Glaze Nail Polish, Fang-tastic, 1281, .50 fl. oz. 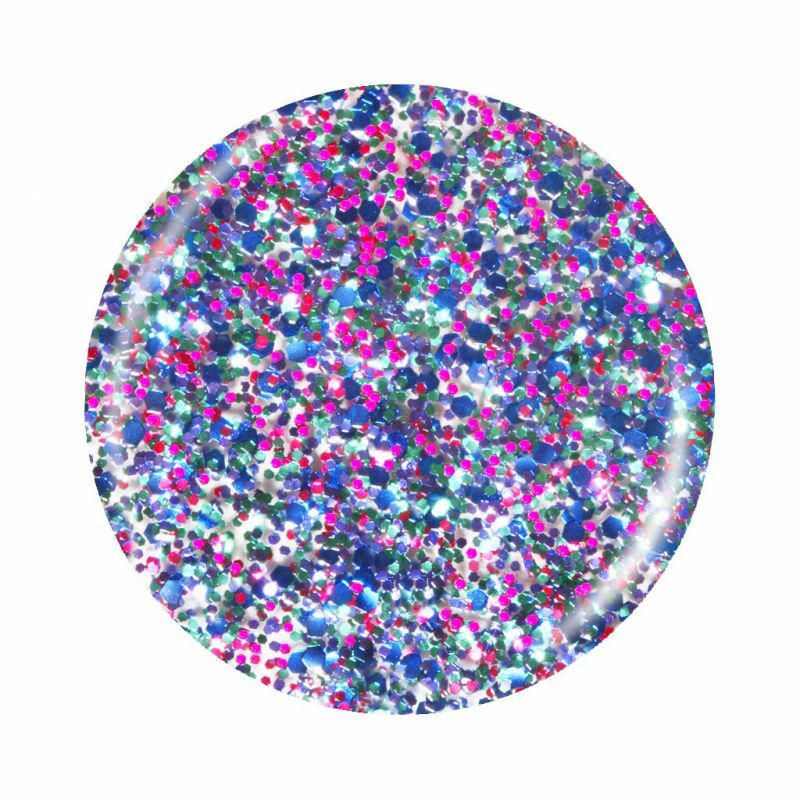 Multi-colored small hex glitter mixed with larger blue hex glitter in a clear base. China Glaze Monsters Ball Halloween Collection.